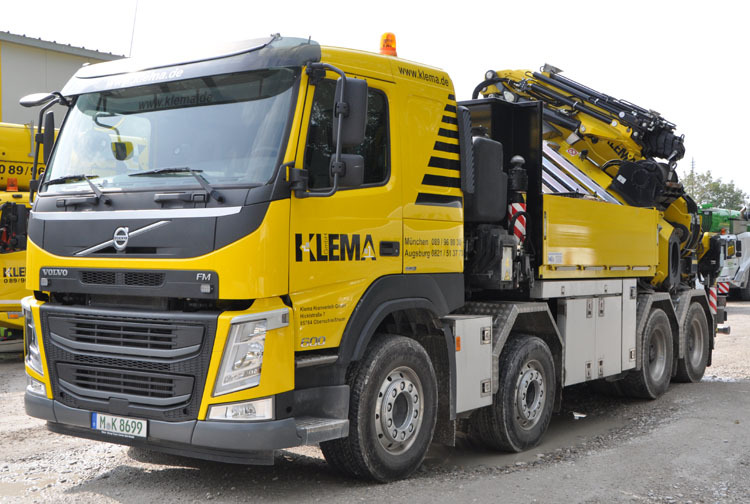 This is the Volvo FM 8x4 of Klema from Munich (D). 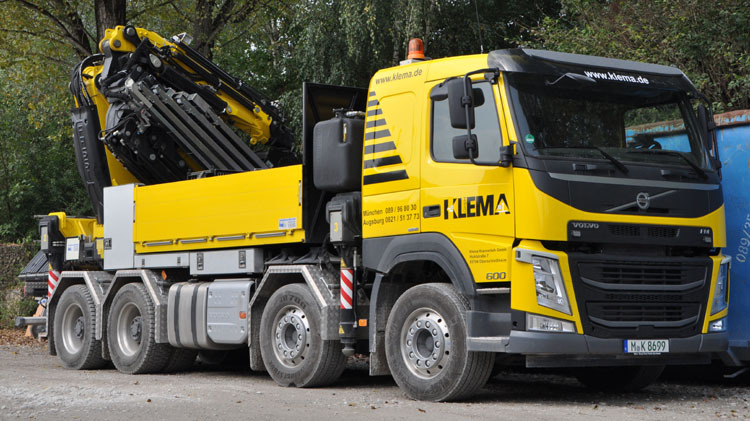 It is a short flatbed truck with 2 driven rear axles and a heavy Fassi crane at the rear. Between the axles they mounted the dieseltank and the mufler. Around it they installed some toolboxes. 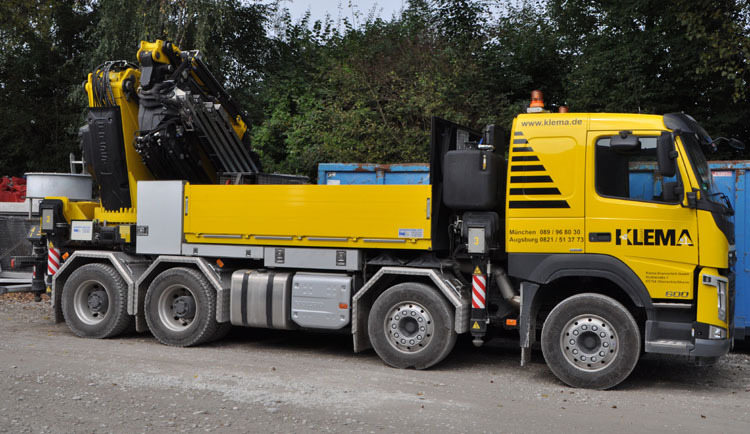 At the back of the chassis they installed a Fassi F1300RA.2.28 crane. 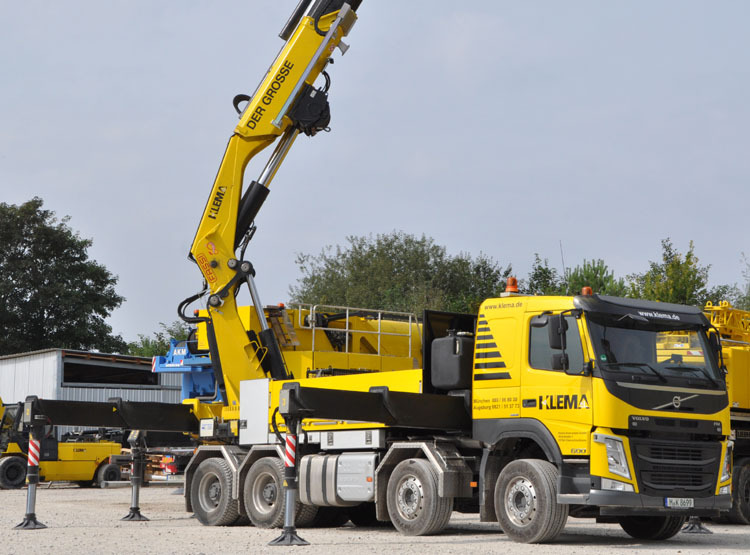 That extends 8x hydraulically with it's main boom and reaches 19,65 meter far with a 3,68 ton load. 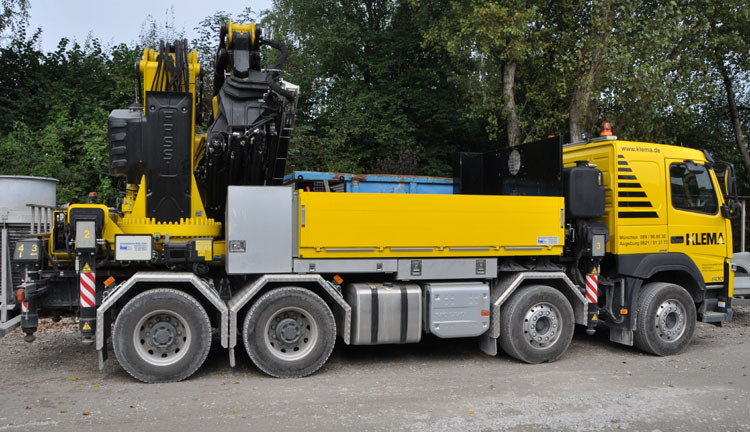 The maximum load is 22 ton at 4 meter distance. With the 6x extending jib L616 the outreach is increased, the total then is 31,55 meter with a capacity of nearly 1 ton. 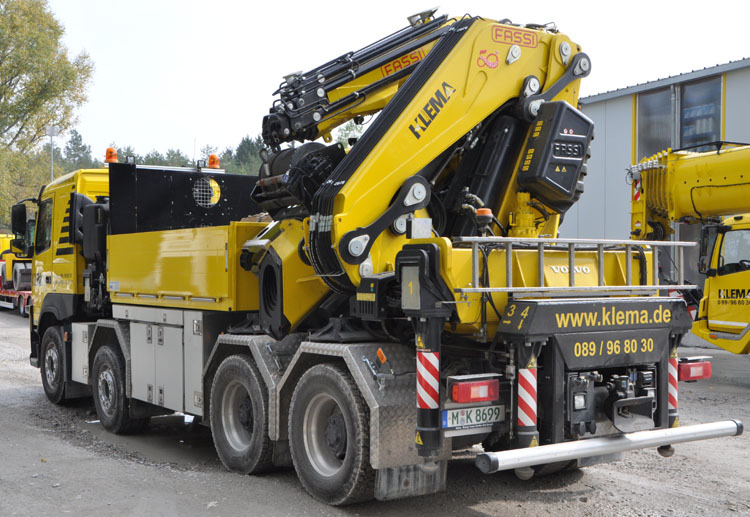 With the 3 manual extensions in the jib it can reach up to 37 far with a load of 330 kg, which is usually enough for a window or smaller parts. This side of the truck was filled with larger toolboxes that hold all the lifting equipment that is needed. On top of the heavy front outriggers stands the oiltank. 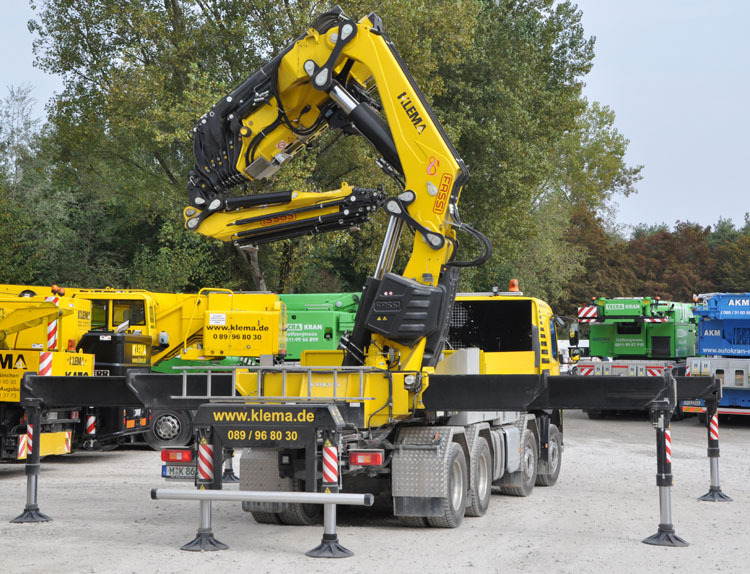 The heavy outriggers give good stability, but also act as ballast for the rear mounted crane. A low cab has been chosen, which is perfect for working in tight spaces. Here the crane was set up. First of all the large dual extendig outriggers are positioned. Then the rear outriggers extend. They can extend for about 1,5 meters. 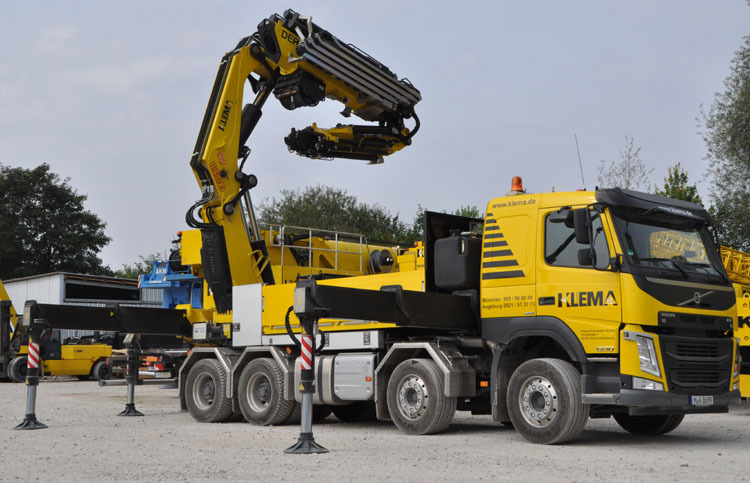 They give the crane good stability when it is lifting to the rear. 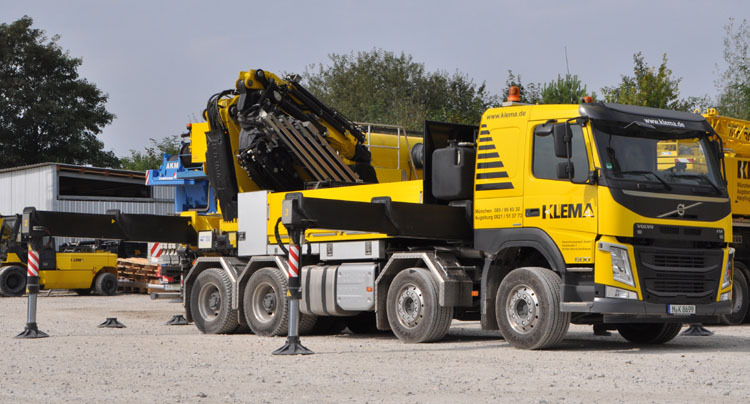 As an alternative, the flatbed can be filled with some counterweights from a crane. Then it is not necessary to extend the rear outriggers. This is helpfull on very tight locations. Now the crane is fully extended, which would mean a height of about 33 meters. When the last 2 sections of boom on the main crane are not extended, then the jib can handle a heavier load. 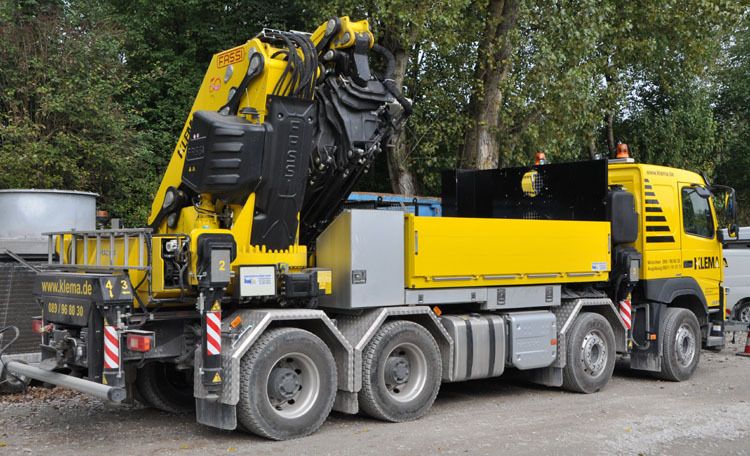 Fassi calls this JDP, which means Jib Dual Power. 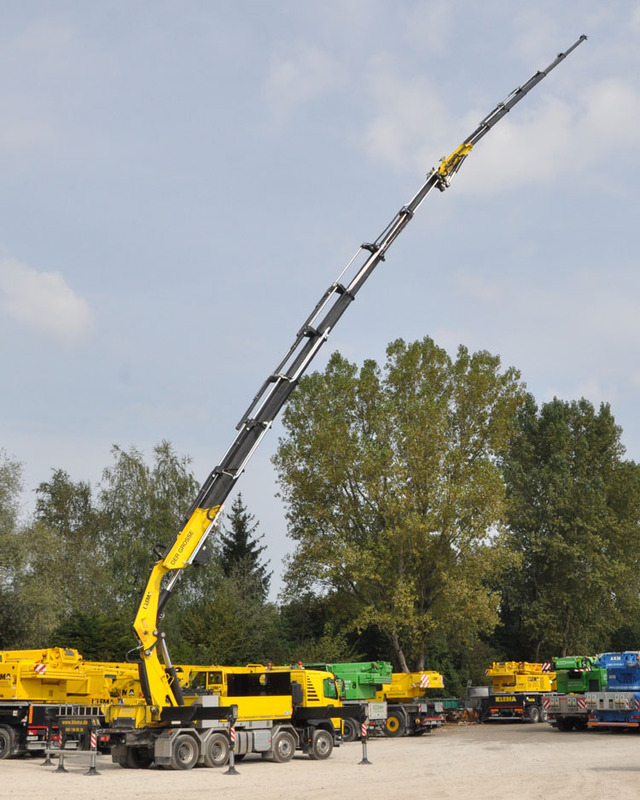 The maximum load at the jib then increases from 4 ton at about 23 meters of height to 6,5 ton at about 19 meters of height. 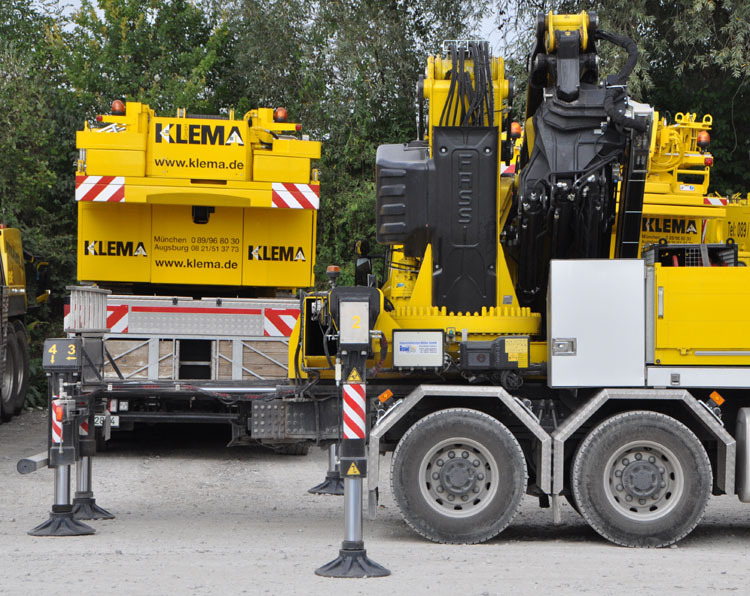 The crane is alo equiped with a winch, it hangs underneath the main boom. And then it folded down again. 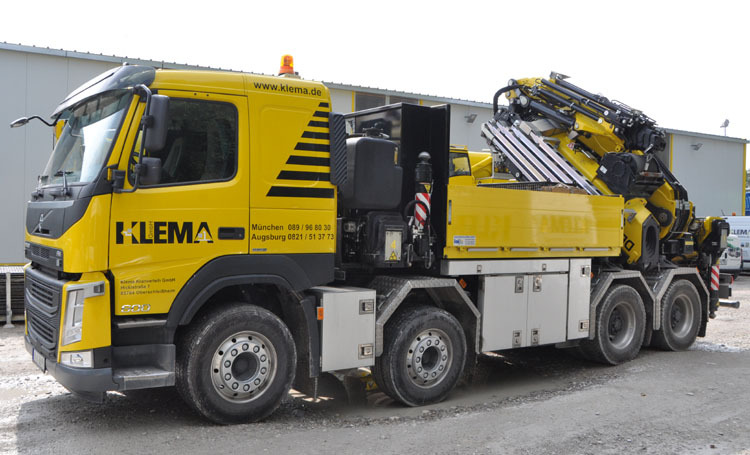 A nice crane truck, specialy designed to also be able to work in tight spaces.